I love applying make-up on myself and on other people. But removing make up after a long day is, for me, the most tedious chore to do before I get nice and comfortable into my bed. The other day, I was given a The Makeup Eraser to try out thanks to SDV Pharmaceuticals and boy oh boy was I excited. A little skeptical at first, because how could a cloth get through my foundation, never mind my liquid eye liner without using any type of make-up remover or cleanser. Coming back home tired from a night out and not being interested at all in removing my make up, I thought I would give it a try. I opened up the cute and smartly labelled package, and took out an extremely fluffy and soft cloth. As the instructions said, I proceeded to wet the cloth in luke warm water, ringed it gently and started wiping away. I removed the make up off the one side of the face first so that I could compare results and WOW was I amazed. Even the Haute & Naughty Waterproof Mascara by MAC that I was wearing came off so effortlessly. Made from specially knitted fibers, finer than human hair, the Makeup Eraser creates a hydro-mechanical process when it’s wet, and this breaks down the surface tension of the oils that bond makeup to the skin, removing the makeup completely. 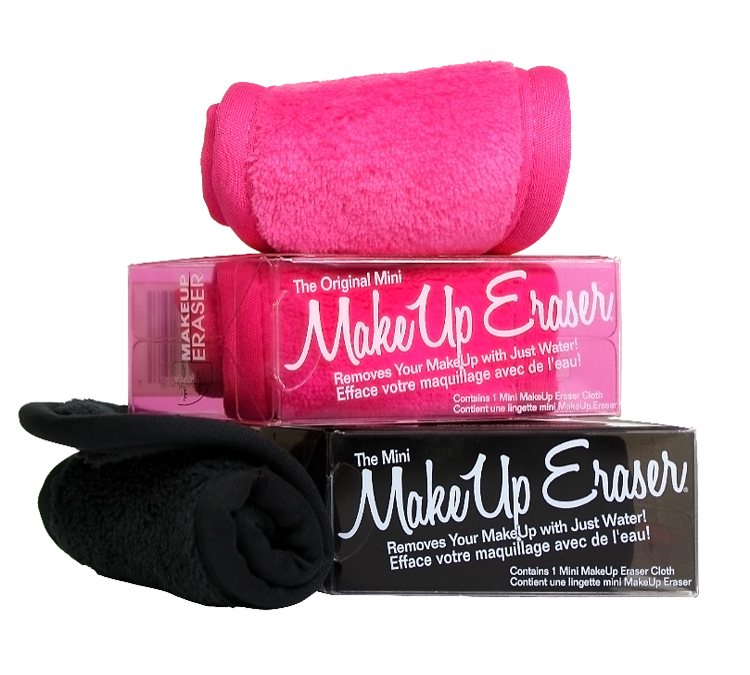 The Makeup Eraser is double sided and has a slightly longer napp on one side for gentle exfoliation, whilst the other shorter side is for the removal of makeup; and because it’s a completely chemical-free makeup remover, it won’t upset the natural PH balance of your skin, and so it’s suitable for those with even the most sensitive skin. Once I was done removing my make-up, all I had to do was pop it into my washing machine and it came out clean and just as fluffy. So not only is this product convenient and effective, but it also takes care of my skin and saves me money. The days of spending a lot of time and product just to remove your make up, is now over. To get yourself one of these make up erasers or to stock these in your spa/salon, contact SDV Pharmaceuticals on 011 702 3342 or email them on infojhb@sdvpharm.co.za.